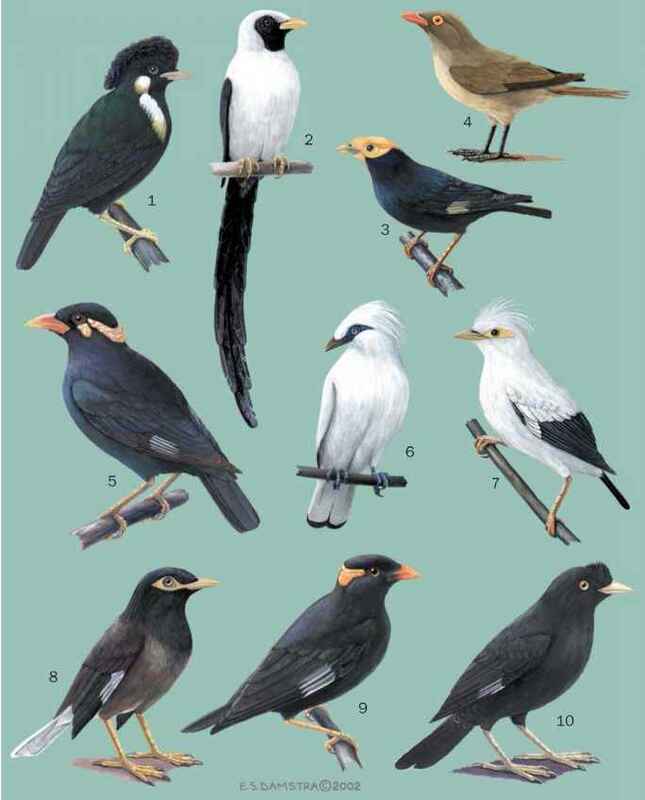 Most starlings and mynas are at least somewhat social, often nesting in loose colonies. Some are downright gregarious and aggressive, especially some of the introduced species. This has created serious problems for endemic species that share their foraging or nesting niches, and often for local agriculture that has had to contend with their numbers. Associated with their social nature are voices that are loud and varied, though often raucous, sometimes mechanical, and rarely melodious. Many species are excellent mimics. A few species such as the brown-winged (Aplonis grandis) and Shelley's (Lamprotornis shelleyi) starlings are much more solitary in their nesting, but at least the Shelley's starling still gathers in non-breeding flocks. Solitary species tend to be more shy and quiet. Starlings have exceptional flight abilities. They are swift, yet highly adept at maneuvering, so much so that dense flocks of starlings can twist and turn as one. Temperate-nesting species often migrate to warmer climates for the winter; migratory flights are accomplished at night. Most tropical species are more or less forest birds, but some, especially in temperate areas, forsake the trees for very open habitats. The only requisite is that there be some substitute for tree cavities as nest sites. Niches in rocky areas, cavities of other birds in dirt banks, nest boxes, and recesses on buildings and bridges often fill that need. The soft-part colors of sturnids are important in social circumstances and seasonally vary somewhat in intensity, becoming brighter during the breeding season. Examples include the bill color of the European starling, the blue facial color of the Bali myna, and the yellow wattles of several mynas.